Published: March 13, 2018 at 11:23 a.m. 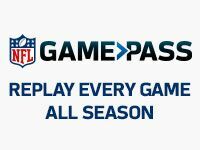 Updated: March 13, 2018 at 09:18 p.m.
"With much sadness but without regret, I realize that I am no longer able to adhere to the unwavering standard of excellence that professional football demands," Posluszny wrote in a statement released by the team. "I say this with a heavy heart: I am retiring from the NFL. I love the game of football so much, and I know there is truly only one acceptable way to play. Knowing I can no longer compete at a level that I find acceptable, I have chosen to end my football career. "This decision is mine alone, and although I know this will not bring me happiness, it is the right and honorable action to take at this time in my life. I cherished every moment of my NFL career, and it has been such a blessing to play the game for as long as I have played. I anxiously look forward to next football season to arrive, but this time with the sole focus of being a great husband and father for my loving family." A second-round pick by Buffalo in 2007, Posluszny compiled 1,214 career tackles, 16 sacks, 15 interceptions, and 51 passes defended in 11 NFL seasons. In his final season in Jacksonville, Posluszny played a rotational job in the Jags linebacking corps with the team moving Myles Jack to the middle linebacker role. Posluszny ends his Jaguars career with 984 tackles, second-most in franchise history (Daryl Smith -- 1, 089). Posluszny totaled 11 INTs during his tenure with the Jaguars, the most by a linebacker in team history.